Remembrance Projects bring communities together. Although remembrance is important for all ages, this project is particularly impactful for Scouts and Guides groups, and community groups such as Synagogues. From attending the annual AJEX parade to clearing up your local graveyard, remembrance projects carry special meaning and value for all involved. Find out if your organisation or any local community group already attends the annual AJEX Parade and offer to help. Otherwise, you can set up your own group of volunteers to attend the parade. Think about reaching out to offer transportation to and from the event, or volunteer with the AJEX organisers to be a Marshall. You may want to help clear and maintain gravestones, make and distribute memorial candles or hold a vigil, or you can innovate, and come up with your own ways to remember those who are no longer with us. Organise a team of helpers and plan your day. Make sure everyone has a defined role and is clear about what you expect from them. If you are attending a parade, then create placards in advance. For other remembrance projects, ensure that you have all the necessary equipment and permissions and check any Insurance, DBS and Health and Safety requirements. Make sure that you have agreed an assembly point and that all volunteers know where to meet both before and after the event. Ensure that your team are kitted out with Mitzvah Day merchandise and allocate one member to take photos. Thank your volunteers and all those involved and encourage them to get involved in the future. 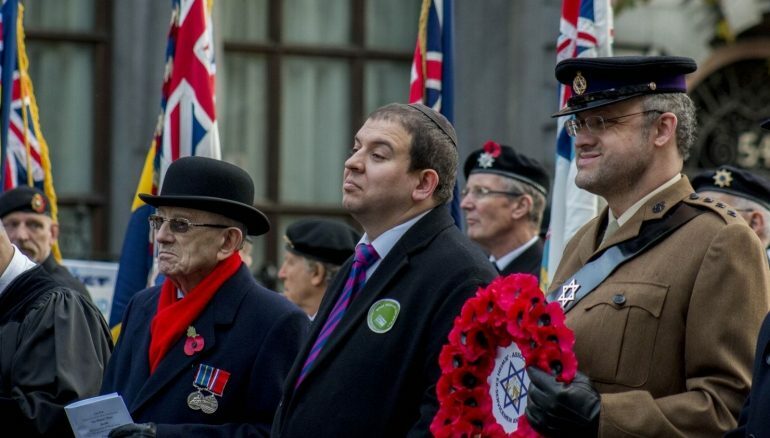 Send Mitzvah Day some photos and let us know about your successful Mitzvah Day “Remembrance is a Mitzvah” Project!